The app market is exploding and every year the growth is many times what Google and Apple saw in the previous one. 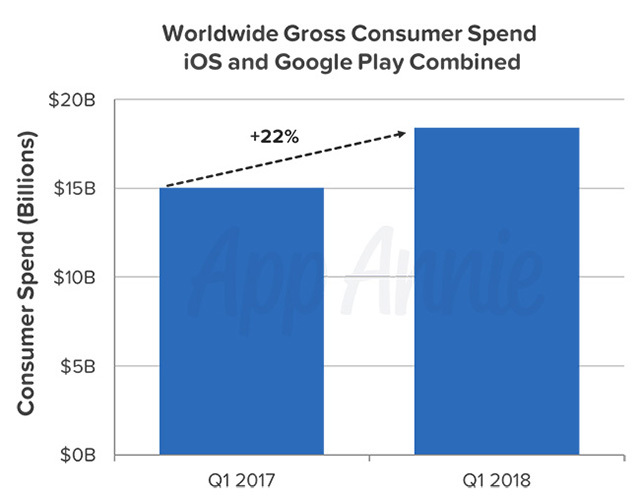 According to a recent report from app market data and insights company App Annie, Apple’s App Store and the Google Play Store saw record breaking growth in Q1 2018 as well. During the time period iOS and Android downloads recorded a growth of over 10 percent year-over-year, reaching 27.5 billion which is the highest figure to date. Additionally, consumer spending on iOS and Google Play recorded a growth of 22 percent year-over-year, reaching $18.4 billion which is also a record number. 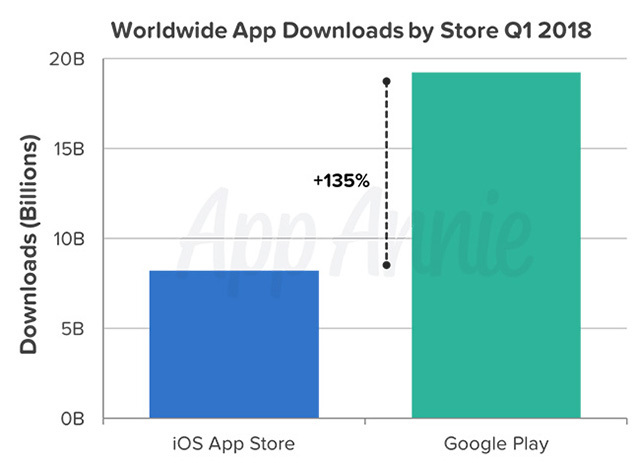 The app download figure reported by App Annie is especially noteworthy as it only takes into account new downloads and doesn’t include updates or re-installs. The report also points out that the total revenue generated by the platforms is much higher than the $18.4 billion figure, as it just takes into account paid apps, in-app purchases, and subscriptions, while leaving out in-app advertising, the revenue generated by commerce taking place within the app, or the revenue generated on third-party app stores. Category-wise, shopping apps saw major year-over-year growth in the quarter across both stores, while games were the major driver of downloads quarter over quarter across both app stores. iOS downloads saw a large year-over-year growth in the United States, Russia and Turkey, while Google Play downloads saw a large year-over-year growth in emerging markets like India, Indonesia and Brazil. Google Play also saw record growth in consumer spending, narrowing its gap with iOS by 10 percent quarter over quarter. 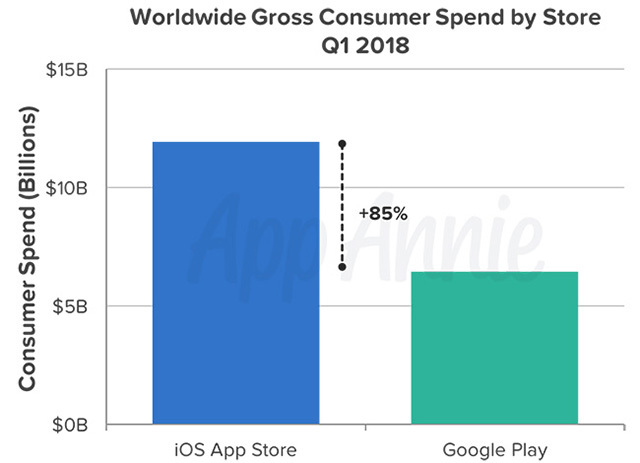 Consumer spending on Google Play grew 25 percent year-over-year in Q1 2018, while iOS saw 20 percent year-over-year growth in the time period. However, iOS still maintained a sizeable lead over Google Play for global consumer spend, despite the number of apps shrinking on the App Store.